Burglary risk - August is the month that burglary stats spike,don't become a victim. Burglary risk is something property owners all need to be vigilant about, as break-ins are costly and inconvenient. Unfortunately as the majority of the UK get ready to take some well earned rest and enjoy the long awaited heatwave August see's the biggest spike in burglary figures, according to the experts at MoneySuperMarket. This is because of property owners leaving doors and windows open to cool the house down – but doing so could invalidate your home insurance policy. This is due to a clause called “contributory negligence” which means your home isn’t covered under insurance if you leave it insecure. “The summer months offer a unique window of opportunity for burglars,” said Kevin Pratt, consumer affairs expert at MoneySuperMarket. “That makes it crucial to be extra vigilant, and to take the necessary steps to keep burglars at bay. ASH Security are certified National Security Inspectorate installers of Intruder Alarm, Access Control, CCTV & Fire Alarm systems. With registered police compliancy for all local police forces we can also offer police response on your intruder alarm giving you the added peace of mind that if your alarm has a confirmed activation your local police force will be despatched. Only installers accredited and audited by NSI or SSAIB are able to offer this level of response. 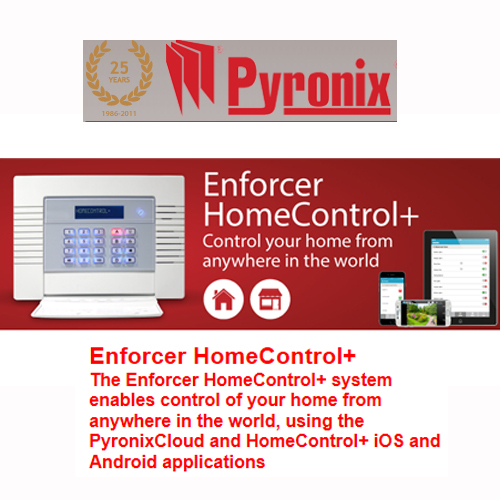 We also have the added benefit of offering smart security solutions with our app based security systems by Pyronix (HomeControl+) & Hikvison (Hikconnect) so you can check in on your security via your smart phone wherever you are in the world. To arrange your free no obligation survey please call 01442 872586 or email. Give yourself peace of mind this summer with security in the palm of your hand by ASH Security.